Dr Thomas Bond, Police Surgeon, thinks he has finally recovered from the terrible events of years before. He no longer has nightmares about Jack the Ripper—or the other monster, an enemy even more malign who hid in Jack’s shadow and haunted the streets of London at the end of the 1880s. He has made his peace with his part in bringing calm back to the East End. His fame as a profiler of criminals is increasing, his practice is steads, and Dr Bond is beginning to dream of marriage, and children. Life is good. But when a woman’s body is found brutally beaten to death in a railway carriage and a letter written years before is discovered by the police, the past he has fought so hard to put behind him begins to taint the present, and he can no longer fight his new suspicions. Just when he thought life had returned to normal, Dr Bond is about to discover that some things will not remain buried: once again his uncanny enemy is loose on the streets of London... and this time Dr Bond is alone. 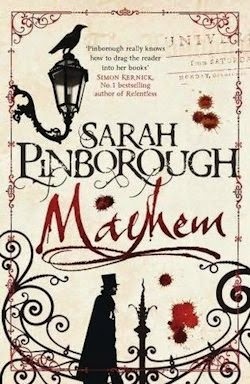 Mayhem was "a moody whodunit with an horrific twist, set in London during Jack the Ripper's red reign." This was essentially set dressing, however. 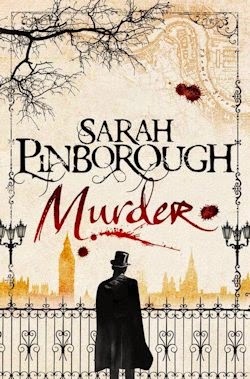 Instead of simply reiterating that grisly business, as many such texts have been content to, Sarah Pinborough's plot revolved around "another real life serial killer, namely the Thames Torso Murderer, and the factual figures who set out to apprehend him," including Dr Thomas Bond, Police Surgeon, who returns—rather the worse for wear—in Murder. It's been six years since the shocking events at the end of Mayhem, which saw Bond and his assistants in all things mystical—a priest and a pauper—catch and kill the Thames Torso Murderer: one James Harrington; husband of the beautiful Juliana, whose heart the doctor dearly desires. Harrington, for his part, was hardly to blame for his horrendous descent: it was the Upir—a violent parasite he picked up in Poland—which led him down that dark path. And though the host is dead, the creature he carried on his back lives still... and hungers, I shouldn't wonder. Murder begins with Bond feeling free of these fears for the first time in recent years, and planning, at long last, to propose to Juliana. 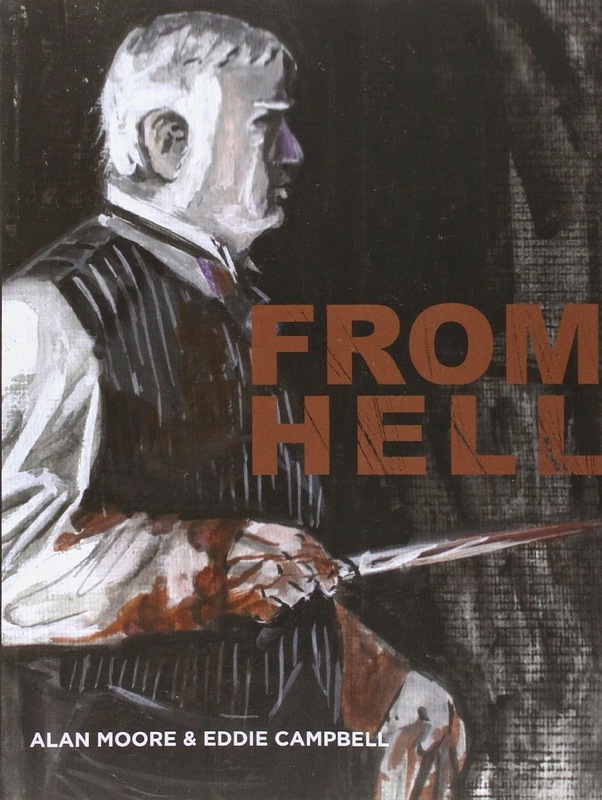 But his hopes have to go on hold when an American friend of Harrington's arrives in the capital with a collection of confessional letters which implicate their late acquaintance in some truly unspeakable deeds. To keep up appearances, he has to be seen to take these seriously, and inevitably, his investigations lead him back to Jack. Harrington, he realises, couldn't have been the Ripper, as he had in his heart of hearts hoped... but perhaps his parasite played a part. Perhaps the mayhem that the Upir created in its wake drove another member of Juliana's family to madness. Perhaps her outwardly affable father, whose alibi falls apart the moment Bond subjects it to the slightest scrutiny, is a killer in their midst. Eventually, Bond has no choice but to visit the aforementioned pauper in the hospital, but he takes more than confirmation away from Leavesden that day. He takes the Upir, too, which Kosminski had been keeping... though he refuses to believe it. Murder does get back on track afterward, but suffice it to say I felt the same frustration again later, as regards Bond's refusal of any real responsibility for the crimes he commits to quiet the creature. As in the first instance, this serves to extend the overall narrative unnaturally, in addition to undermining the credibility of Pinborough's formerly formidable central character. That said, there remain a number of reasons to recommend Murder, not least the refreshingly unsentimental romance at its emotional core. To be brief, Bond's proposal doesn't get the desired reaction from Juliana, in part because she conceptualises her relationship with him differently than he does, which her feelings for Harrington's American friend helps her come to terms with. This, I think, is how love triangles are done: with measure as opposed to excess, and a depth of development that goes beyond the usual swooning. Murder makes good on much of the unresolved promise of its predecessor, but I dare say it doesn't feel like a fully-fledged sequel to Mayhem so much as a prolonged postscript, or a last act artificially protracted. 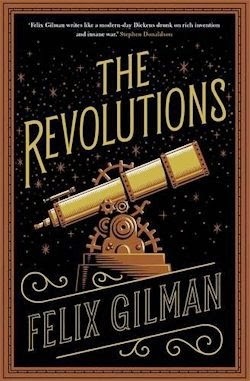 It's well worth reading if you fell for the first book of the duology, as I indubitably did, but if you didn't, the second certainly isn't going to convince you.